Nissan recently launched the seventh generation Patrol. While some loyal fans apparently did not like the idea of the upgraded model having so many electronics and technological advancements and an independent double-wishbone front and rear suspension instead of a solid axle, many others were as excited as kids on Christmas morning about the new model. Meeting this majestic beast at the airport quite literally took my breath away. To put it simply (and very girly) it’s so beautiful! I especially loved the one with the black exterior and the tan interior. If I thought it was daunting the first time I had to drive something with wheels bigger than my trusty i20’s, I was in for a surprise. This was by far the biggest vehicle I’d ever driven. All the stress for nothing, however. We took it off-road at De Wildt 4x4 in Magaliesberg and once I got behind the wheel, it was easy peasy, lemon squeezy. With all it’s incredibly advanced technology, the Patrol did all the hard work - I only had to push a couple of buttons and pilot the beast over the rocks and through the mud. Once we hit the highway again, I particularly enjoyed experiencing Nissan Intelligent Mobility first-hand. Even though it took me a while to get used to the various features, by the end of the day I was trusting the car almost more than I trust myself (which might not be a bad thing). The intelligent cruise control works like a dream hand-in-hand with the intelligent distance control. This feature helps the driver to stay in perfect position, using radar sensors to adjust the vehicle’s speed in relation to the vehicle in front. So, say for example you’re on the highway and your cruise control is set to 120km/h and your intelligent distance control is set. If a car suddenly changes lanes and moves in between you and the car in front of you, you needn’t do anything but keep your steering wheel straight and your swear words to yourself. The Patrol will slow down automatically to adjust its distance to the new car in front (according to what you’ve programmed) and slowly increase speed again to reach the set 120km/h if space and circumstances allow. It does take some getting used to - my foot just gravitated towards the brake and I had to try really hard to trust the vehicle at first. Other nifty features include intelligent blind spot intervention, intelligent lane intervention, intelligent smart rear-view mirror, and around view monitor which uses five cameras positioned around the vehicle and provides a 360-degree view of your surroundings. How’s the weather back there? Able to fit seven passengers, the Patrol is no Mickey Mouse vehicle (although kids can watch Mickey Mouse on the multi-screen DVD entertainment system with screens fitted into the headrests of both front seats). Space and comfort abound, if that hasn’t been made clear. Among the long list of standard features are climate-controlled front seats, heated steering wheel, premium leather seating and a dual-zone automatic Temperature Control system (with microfilter), including second-row “curtain” vents to distribute cool air to every seat. The Patrol has a seven-speed automatic gearbox powered by a high-tech 5.6-litre V8 petrol engine that develops 298kW of power and 560Nm of torque and an impressive towing capacity of 3.5 tons and a 140-litre fuel tank. Responsive braking is provided by a four-wheel disc brake system with anti-lock braking system (ABS) with electronic brake force distribution (EBD) and brake assist. Also standard is ABLS (active brake limited slip) and a vehicle dynamic control (VDC) system. Some other safety features include Nissan’s advanced air bag system (AABS) with dual-stage front supplemental air bags with seat belt sensors and front occupant classification sensor; roof-mounted curtain supplemental air bags with rollover sensor for side-impact and rollover head protection in all three rows; front seat-mounted side-impact supplemental air bags; and front seat active head restraints. The Patrol is Nissan’s premium flagship model and the car manufacturer says its target market is people with a distinctly affluent taste. It’s for the sophisticated buyer who requires an SUV that’s big on features, big on opulence, big on style and big on exclusivity. That being said, according to Nissan, you won’t easily find a car in its class, with the same amount of technology, features, comfort, style, and ability at the same price. So, for those who can afford to buy in this class, it’s an outstanding deal. 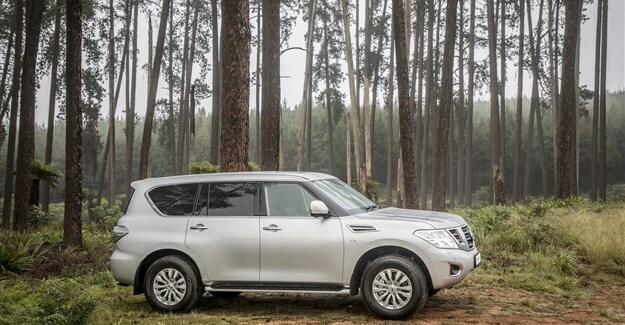 The new Nissan Patrol Premium costs R1,299,000. 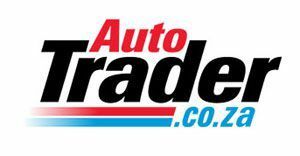 The vehicle is backed up by Nissan Assured and has a class-leading six-year/150,000km warranty, and a comprehensive three-year/90,000km service plan.